It packs a punch! Whether you are a history buff, a nature lover, an adventure junkie or a student of architecture, North India has an exciting lot on offer. The forts and palaces of Rajasthan take you back in time and offer colourful glimpses of a bygone era. 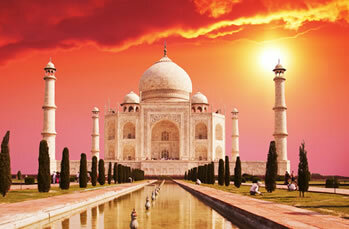 The mesmerizing beauty of the Taj Mahal has to be seen to be believed. This region packs tremendous diversity. The high Eastern Himalayan mountains of Sikkim, the tea gardens of North Bengal and Assam, the biodiversity hotspot called Arunachal Pradesh with an array of diverse flora and fauna, the distinct way of life of the Naga, Mizos and Manipuris, the old-world charm of the eastern metropolis. This is India’s most urbanized and industrialized region comprising the states of Maharashtra, Gujarat, Goa, and two union territories – Daman and Diu, and Dadra and Nagar Haveli. It was here that the first Parsis arrived, fleeing persecution from their original homeland in Persia, An entrepreneurial community, they contributed tremendously in building Mumbai. 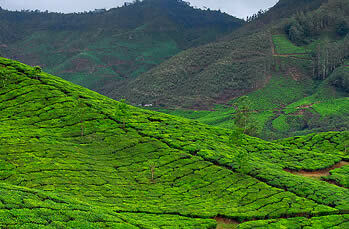 South India has a feel and charm all its own. 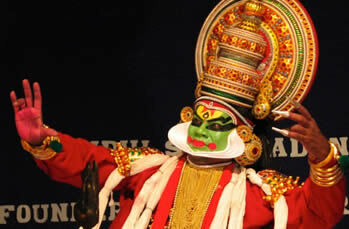 From its distinctive cuisine comprising idli, dosa and sambhar among others, to the stunning temple architecture of Tamil Nadu, to the verdant hill stations of a biodiversity hotspot called the Western Ghats, this region is bound to cast its magic spell on culture, history, nature and architecture buffs alike. I just wanted to extend my heartfelt thanks at the exceptional way in which our trip to India was organised . Every element was superb , from the local Yatra people to the tour guides and especially Rattan our driver , who was always above excellent . The whole experience was put together so well with absolutely no problems. A very big thank you ! 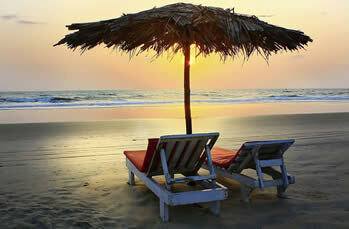 100% satisfied with the holidays in Northern India ! “Perfect itinerary” “Perfect hotels (of course…)” “Perfect guide” “And perfect driver !” Thanks A Lot !! Thank you to you and your entire team for doing such an incredible job with our tour package. Each and every detail was taken care of. It was very thoughtful of you and your team members for checking on us every single day to ensure that we did not have any issues and taking care of everything that we needed. Also the tour guides we were provided at each and every destination were very good. My entire family had a very comfortable and an incredible experience. Thank You Yatra, Compliments of the new year and may 2014 be awesome for you and your family. Thank you for a super holiday in India. Ravi – your personal time and commitment as well as that of every field team member such as Kevin and the gentlemen who helped us in Delhi Was simply outstanding!! Much appreciated and keep up this excellent standard of service. I saw Chadette yesterday and heard a very excitable account about the India educational. The group had a wonderful time and loved every minute of the trip, e-mails from the delegates are streaming in. Thank you for setting up such a fantastic trip and for looking after everyone so well. It was wonderful that Pushp was able to travel with them throughout and also great for the group to be able to meet you in India. Chadette is still awestruck by the beauty of the Taj Mahal and told me how meaningful the experience of visiting it was after the surprise show that they were treated to the evening before. Thank you so much. We are very blessed to work with you and your team. We offer our guests the best products and services, by partnering with vendors and hotels that value integrity and relationships. These two are values that build our product – from the on-ground support staff to the product managers at the main office. Each of our products have been designed by experts who understand the region and the requirements of our guests, while at the same time ensuring that the products are of the highest quality. Matching, and indeed surpassing the level of service expected of a great holiday tour.